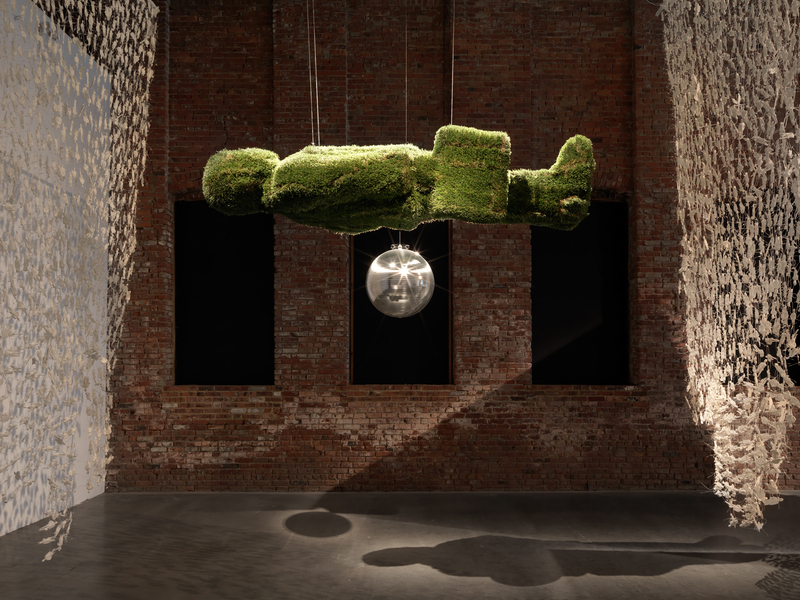 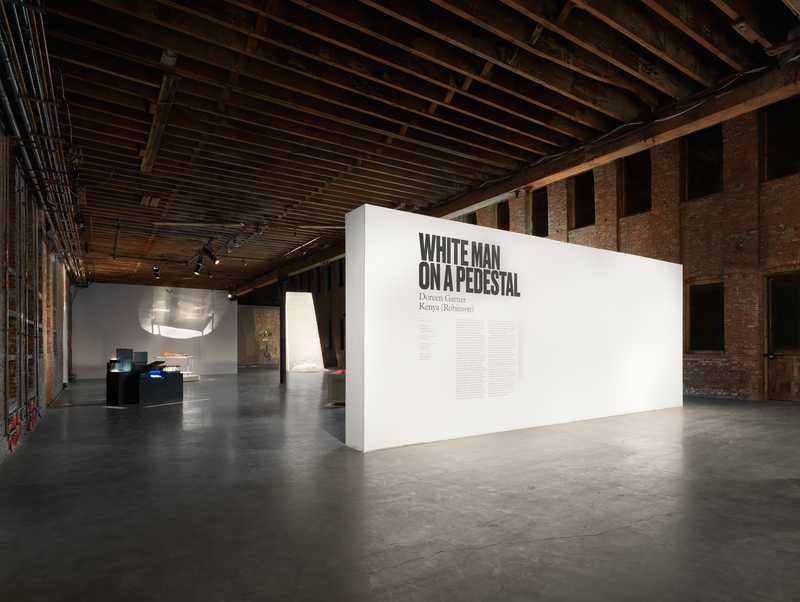 Pioneer Works is pleased to present White Man On A Pedestal (WMOAP), a two-person exhibition by Doreen Garner and Kenya (Robinson), from November 10 – December 17, 2017. 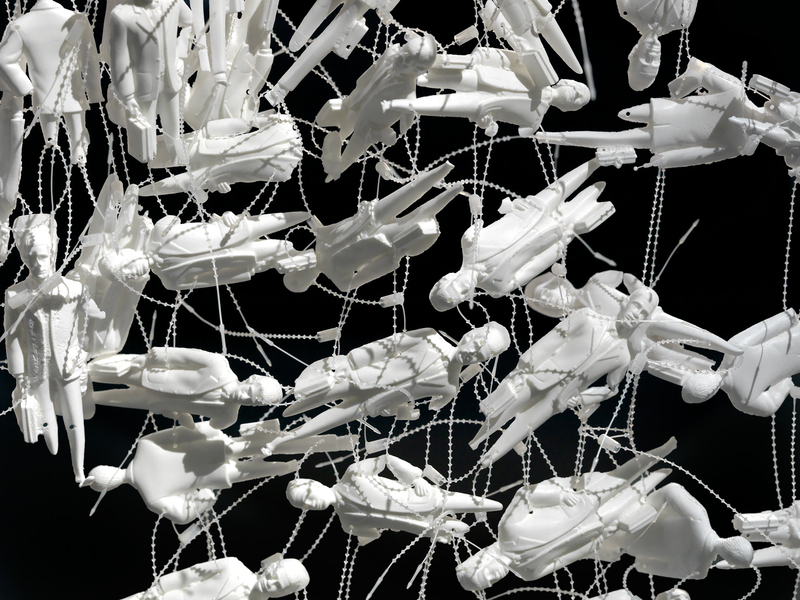 WMOAP questions a prevailing western history that uses white-male-heteronormativity as its persistent model. 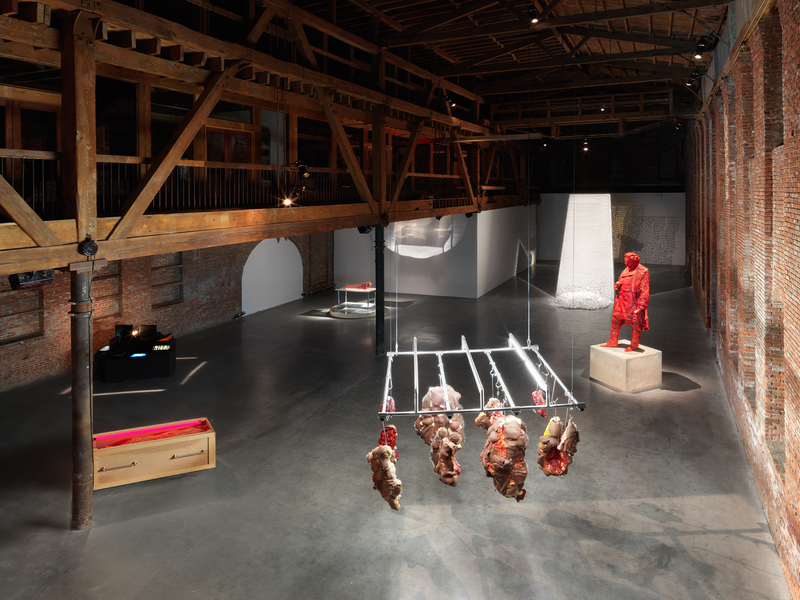 Both artists approach WMOAP from an individual practice that is responsive to their experiences as black women operating in a system of white male supremacy. 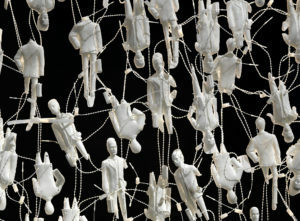 At a time when removing Confederate statues—literally white men on pedestals—are cultural flashpoints of whiteness and class, Garner and (Robinson) play with the size, texture, and scale of white monumentality itself, referencing both real and imagined figureheads of historical exclusion. 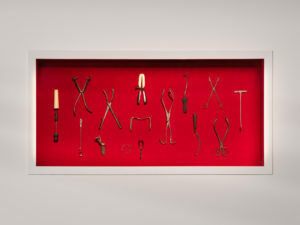 Garner’s practice has long involved itself with medical histories. 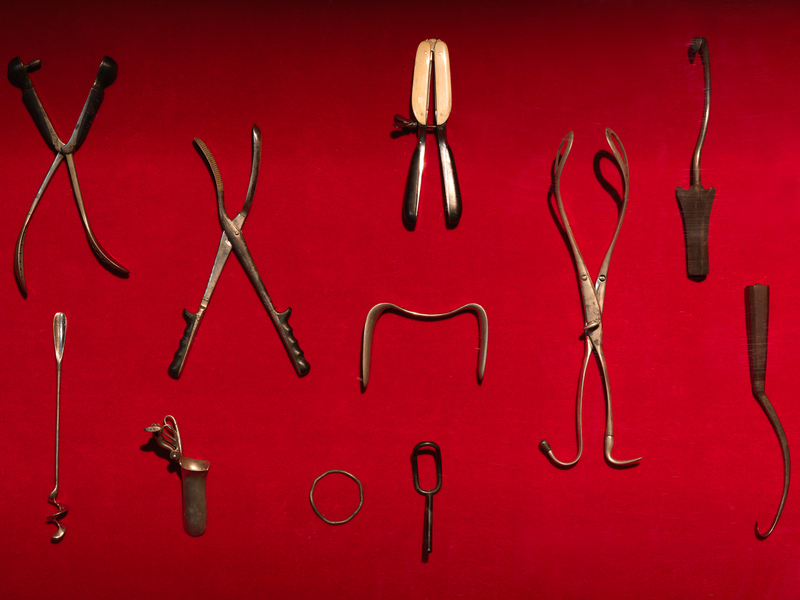 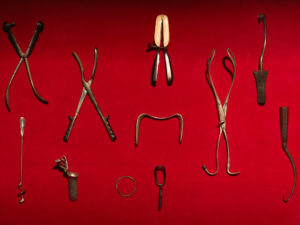 Her research on Dr. J. Marion Sims, canonized as ‘The Father of Modern Gynecology,’ reveals the savagery of his oft-repeated procedures on enslaved women, which were performed without anesthesia or even consent. 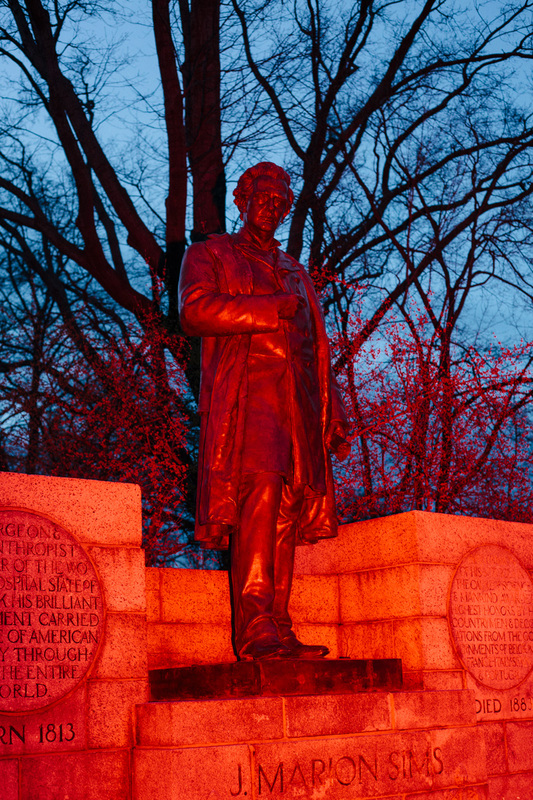 These women have effectively been lost to history, while a statue of Sims holds court in Central Park. 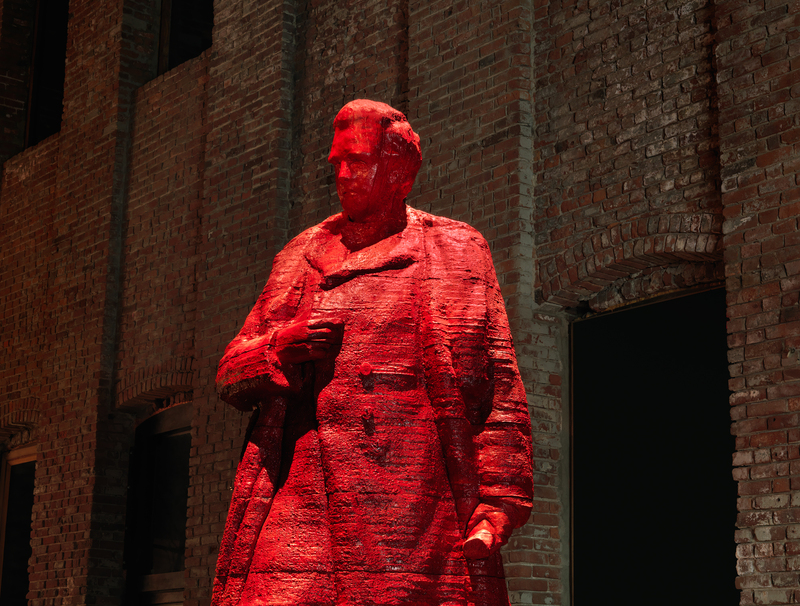 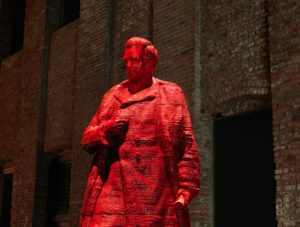 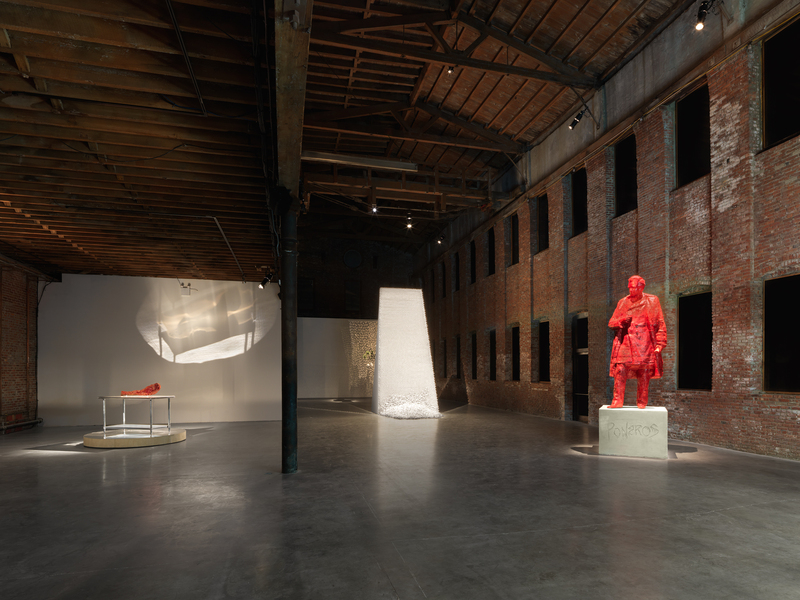 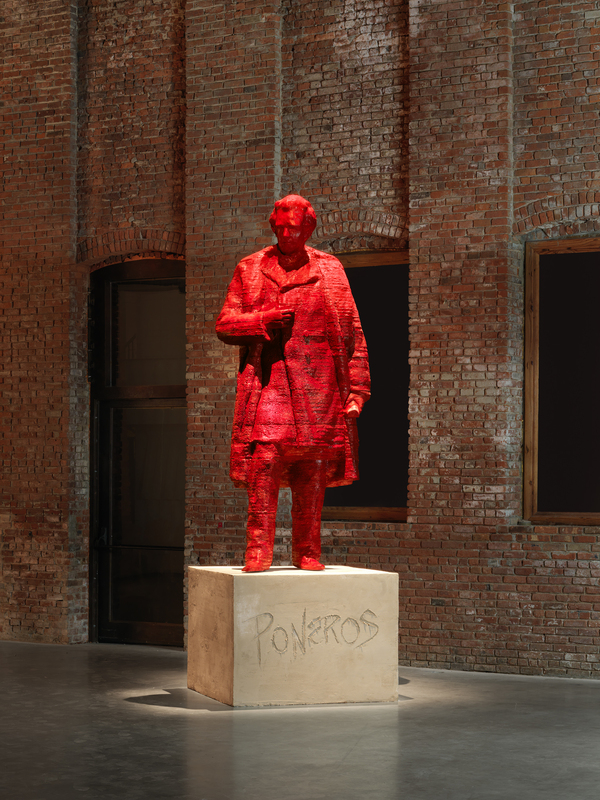 In WMOAP, Garner’s process is two-fold: to recognize Sims’ test subjects and to protest the doctor by three-dimensionally scanning his statue and rebuilding it in Pioneer Works. 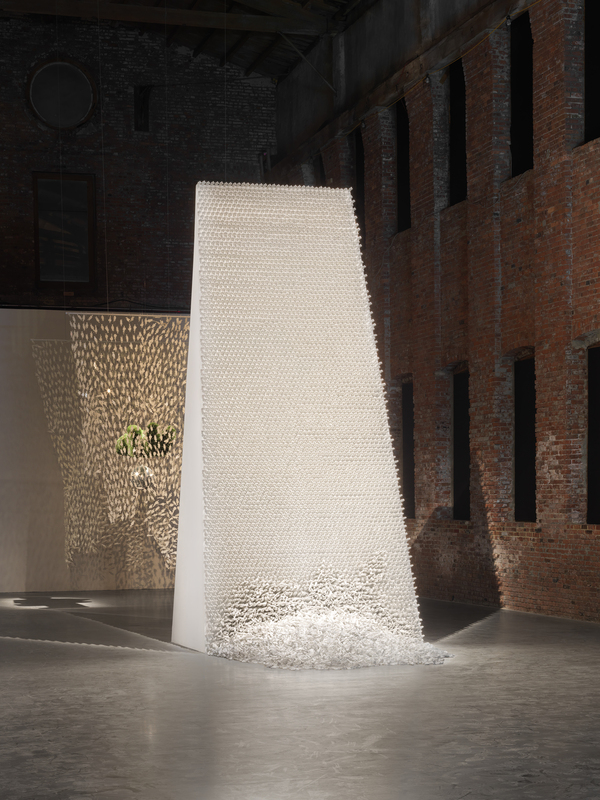 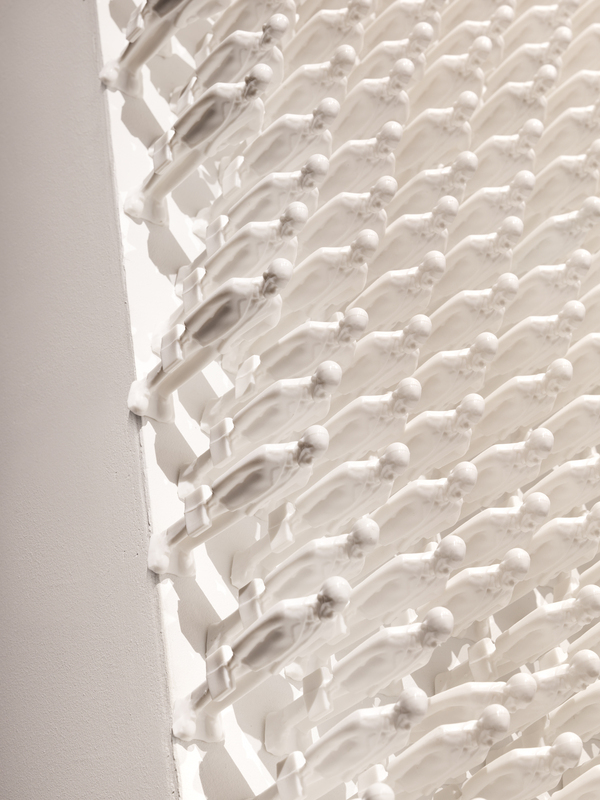 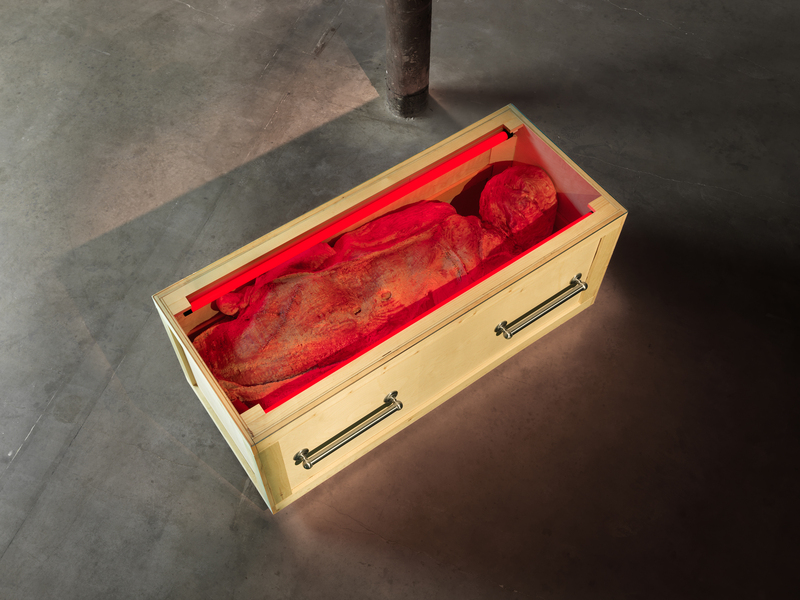 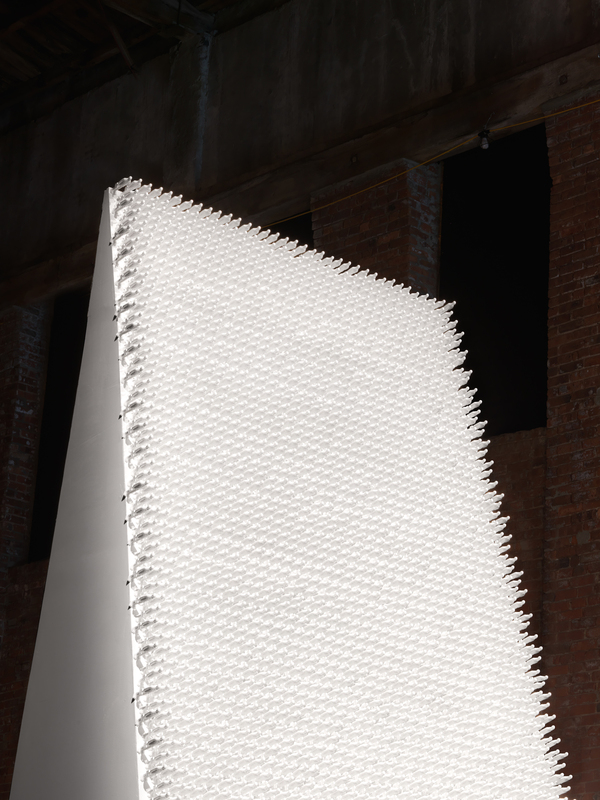 A silicon cast of it will be used to enact a ‘dissection’ of the monument in an interactive, constructed operating theatre, built as modular installation that will house sculptural work and serve as a space for live performance. 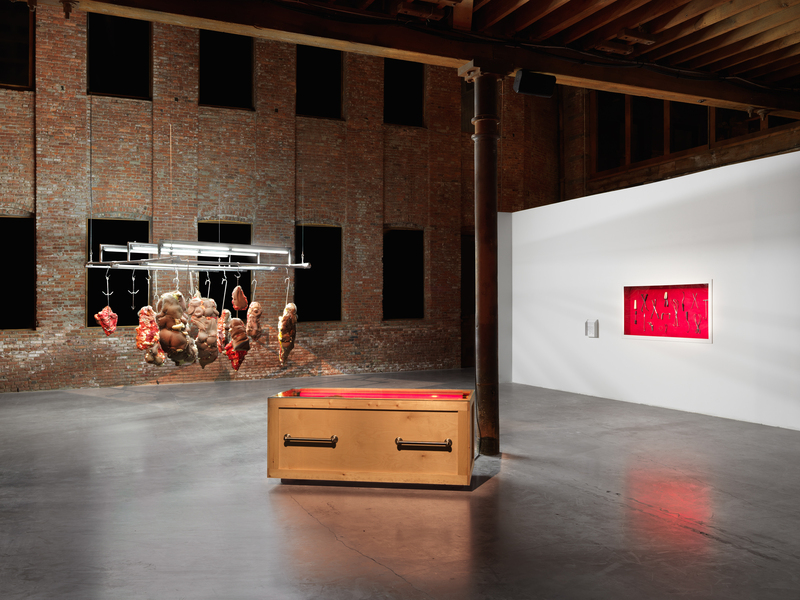 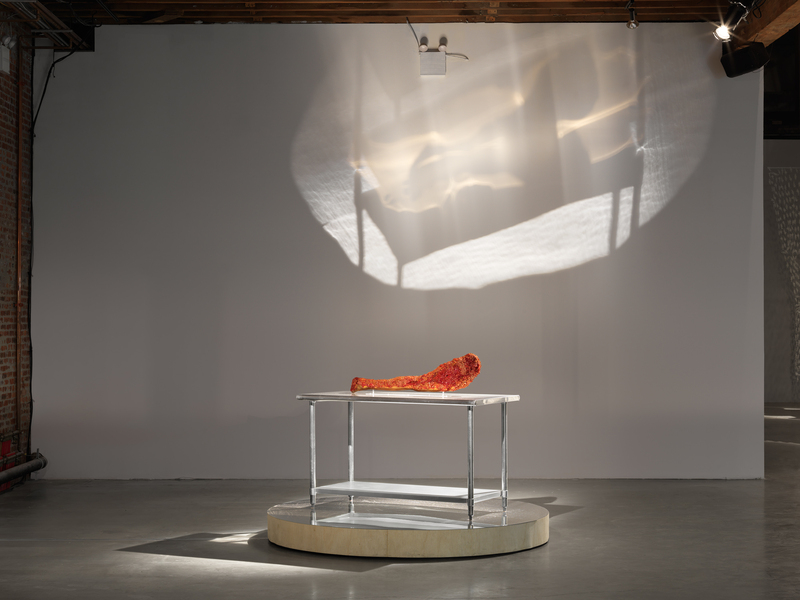 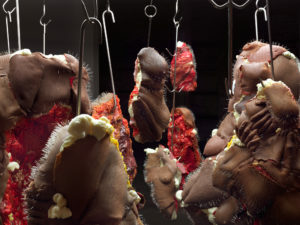 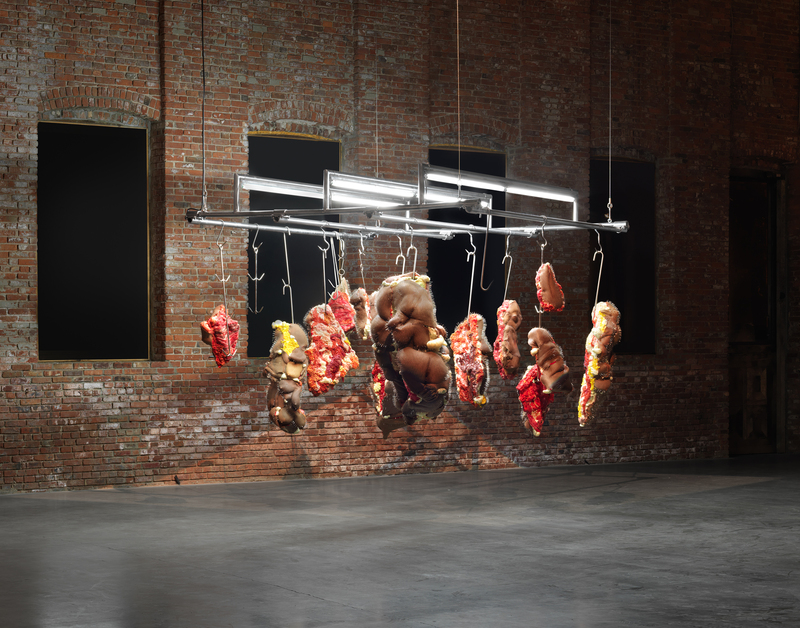 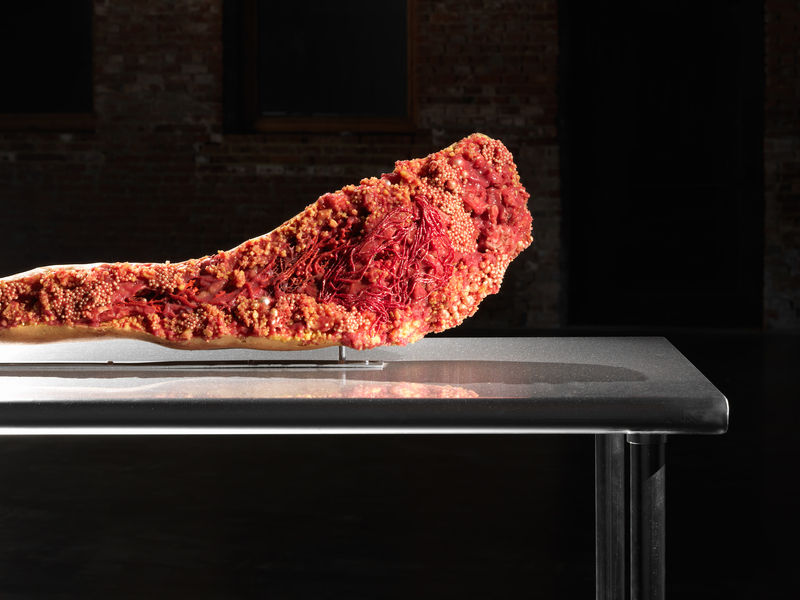 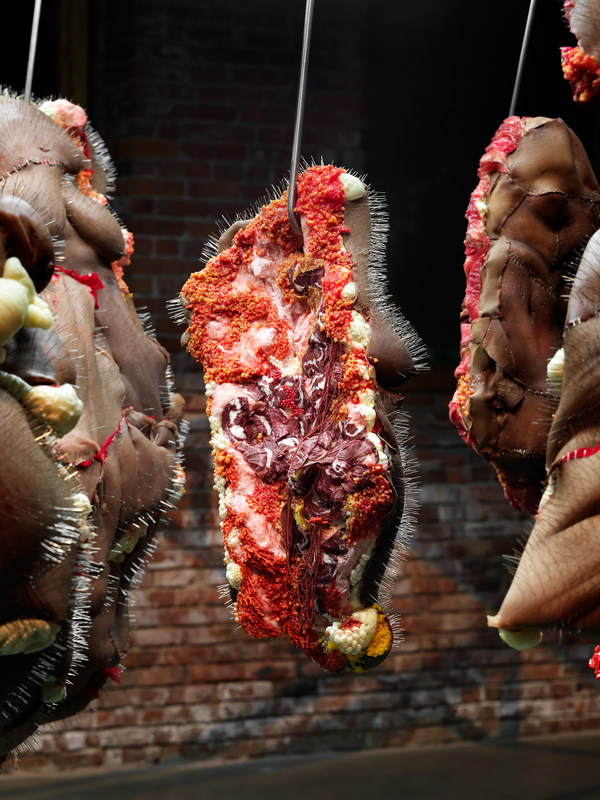 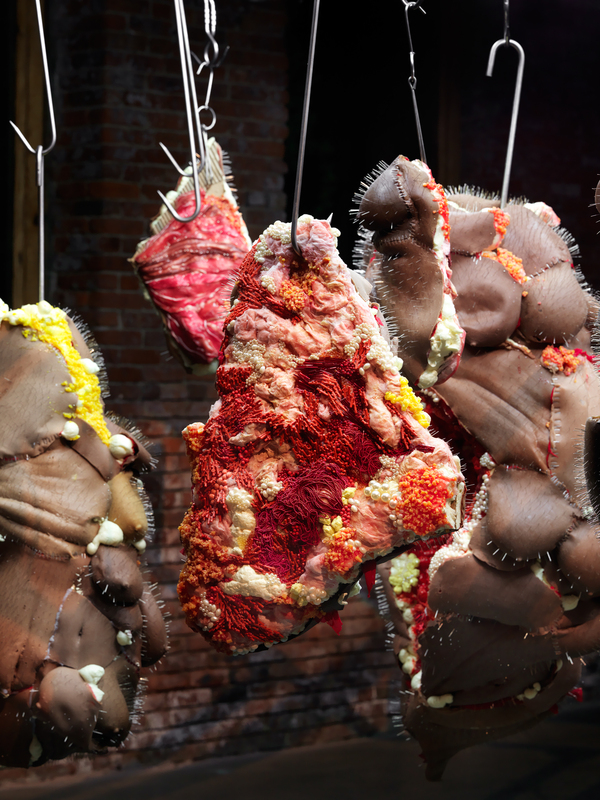 Related “meat” sculptures hanging from a meat rack combine sutured skins, body parts, and surgical ephemera into organic, fleshy forms. (Robinson) has been carrying the #WHITEMANINMYPOCKET (aka Dave Fowler) since 2013. As a 5-inch tall plastic example of an IRL emoji and an archetype of “success,” the figure of a briefcase-touting, suit-wearing white professional has become a fetish object relevant to the contemporary corporate landscape and questions the privilege that is assigned to whiteness. 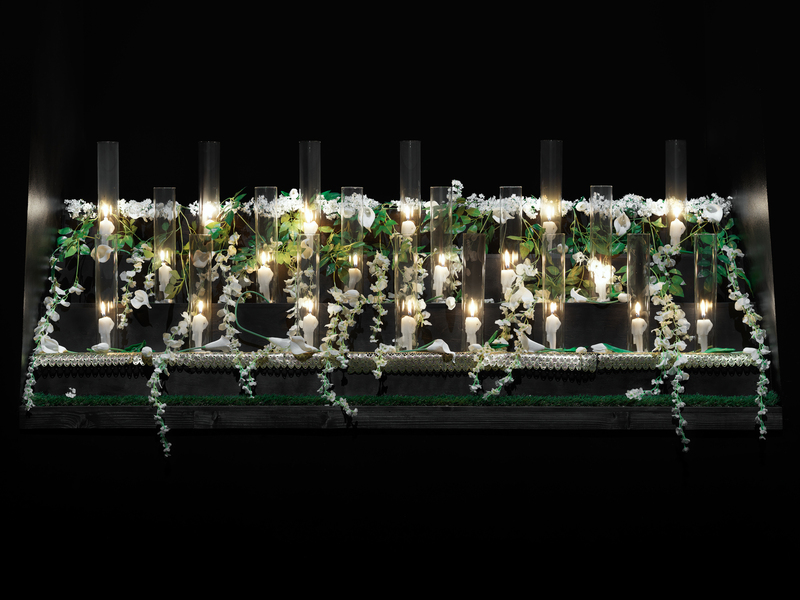 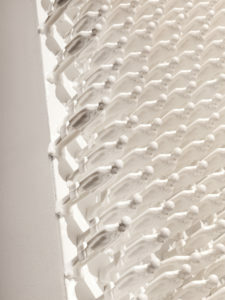 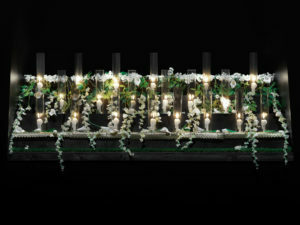 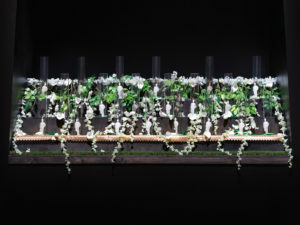 It is a miniature representation of the absurdity of homogeneity in spaces of power. WMOAP offers a platform to lay this idea to rest by enacting a large-scale memorial service for the #WHITEMANINMYPOCKET. 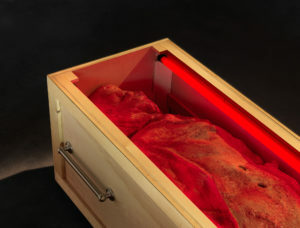 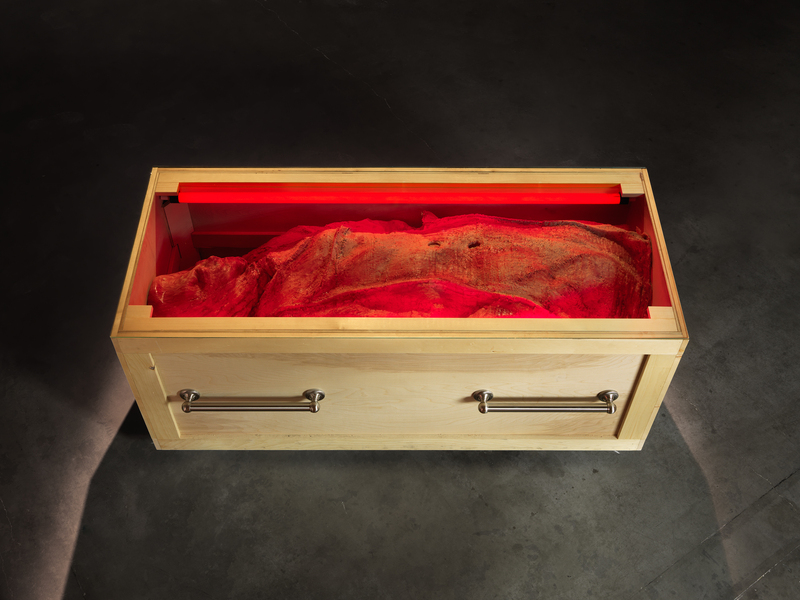 In addition to the procession, eulogy, and repast, (Robinson) will manufacture 10,000 ‘Daves’ in the mode of the terracotta soldiers of ancient China, that after their display will ultimately be buried in an undisclosed location at the close of the exhibition. 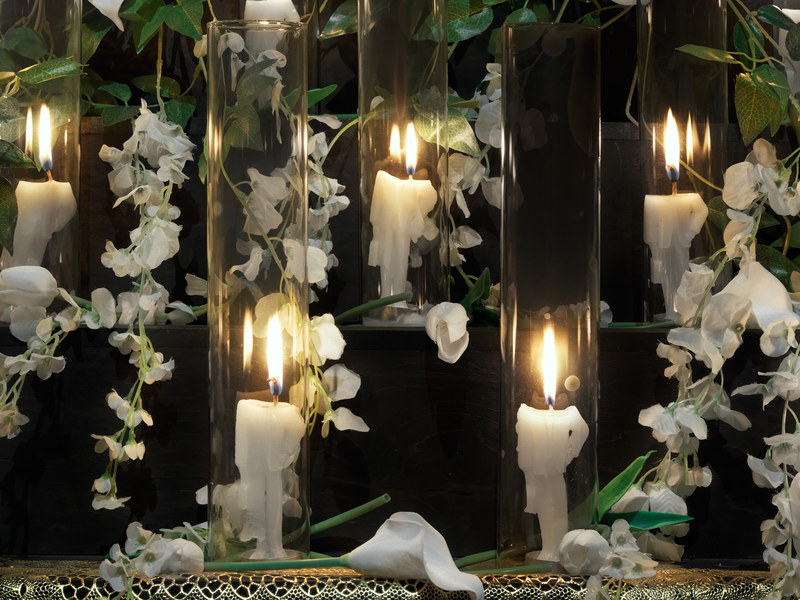 Through WMOAP, Garner and (Robinson) collaboratively re-enact and hold a funeral for oppression, while revealing the difficulties of making this work within an institutional setting that too often benefits from systems of oppression. 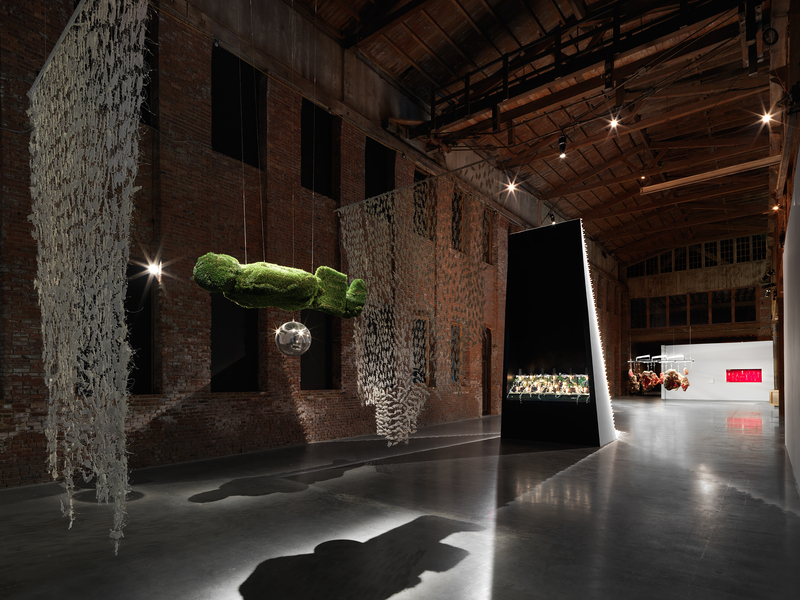 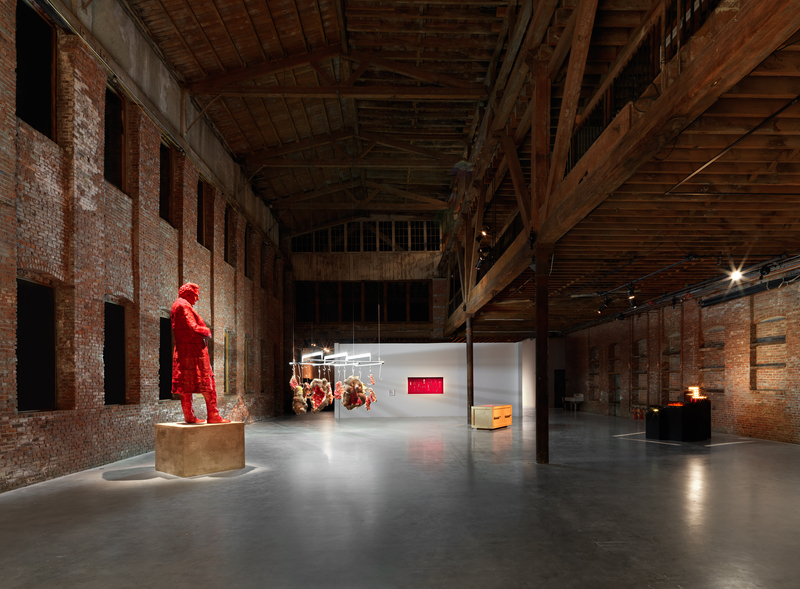 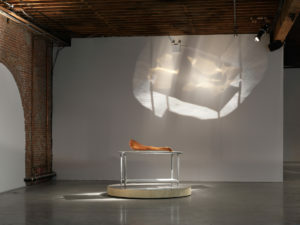 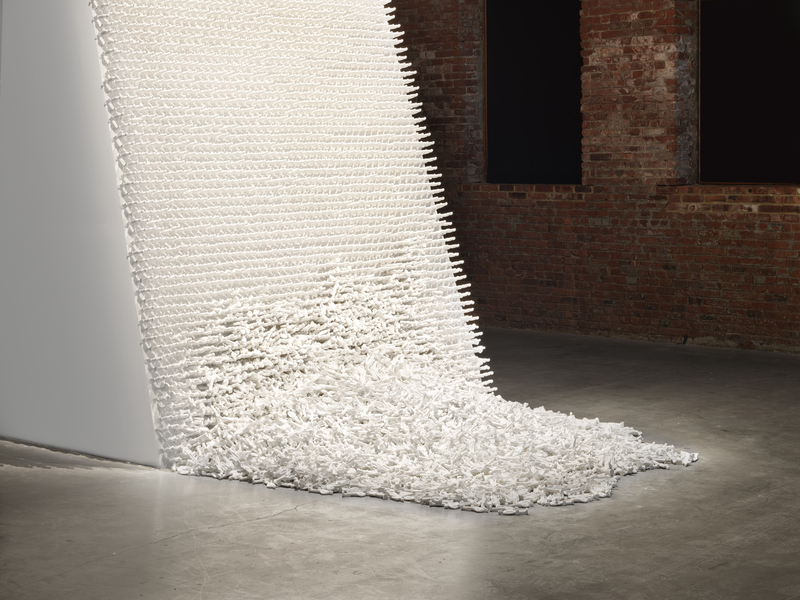 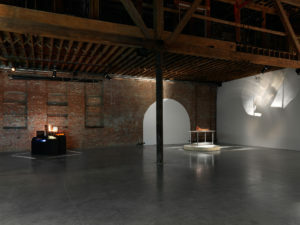 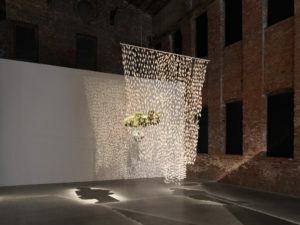 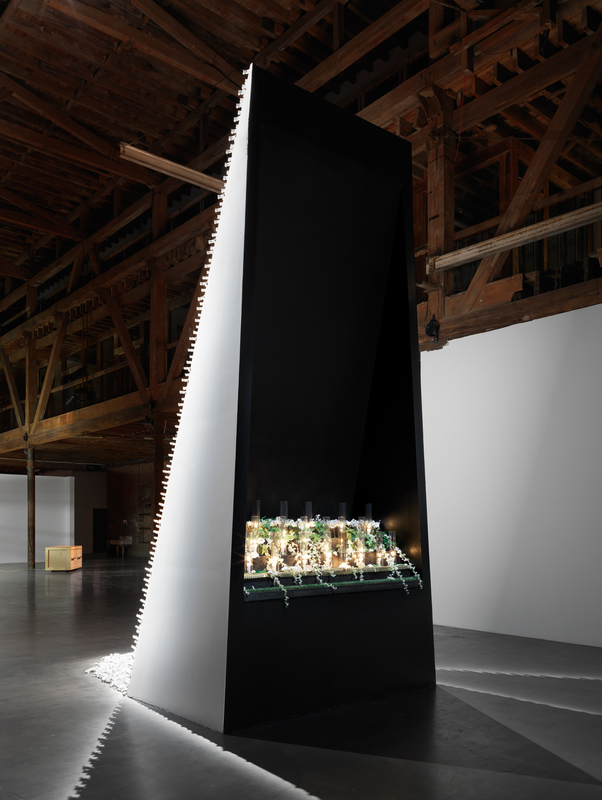 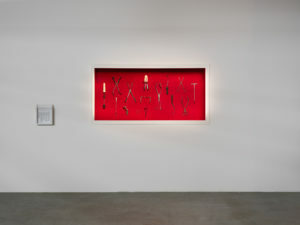 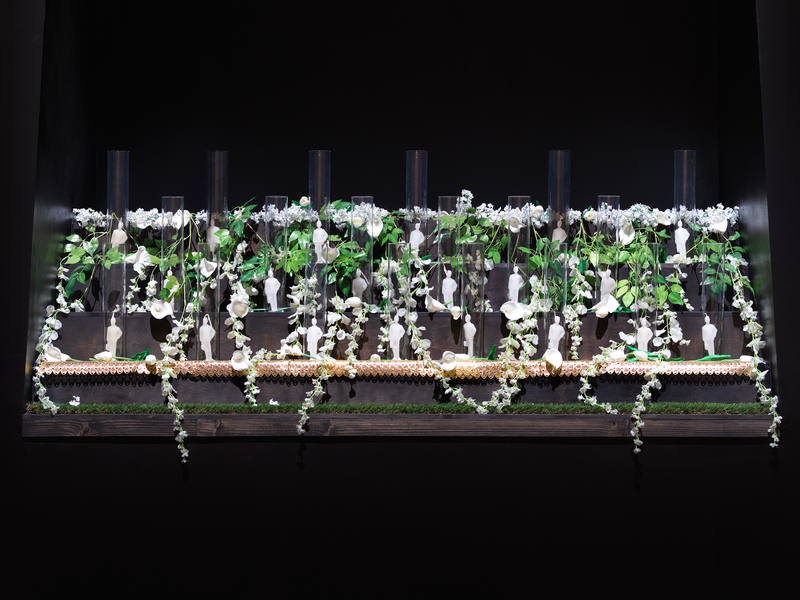 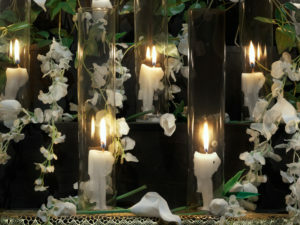 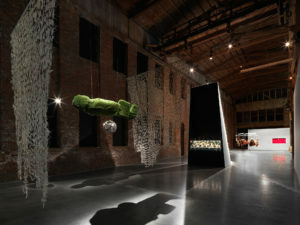 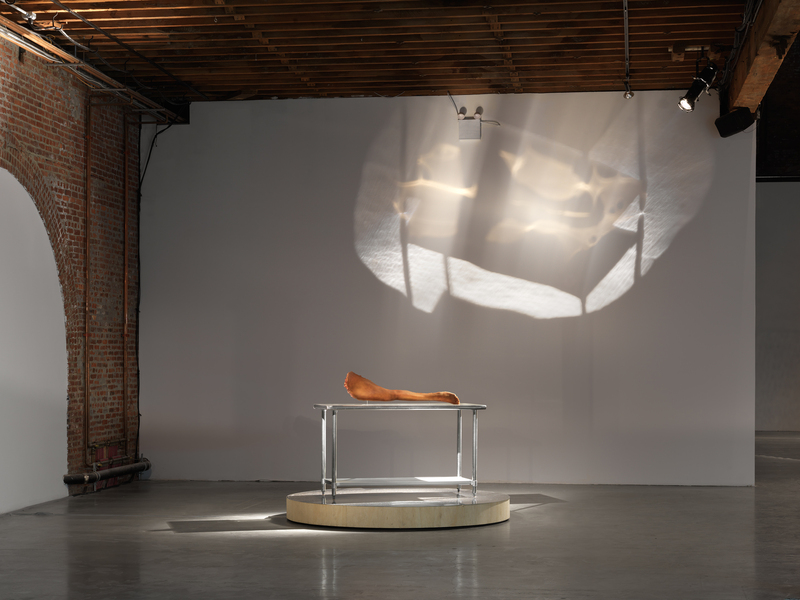 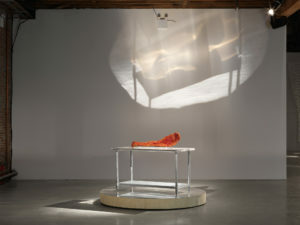 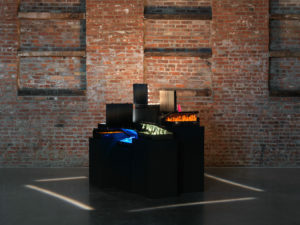 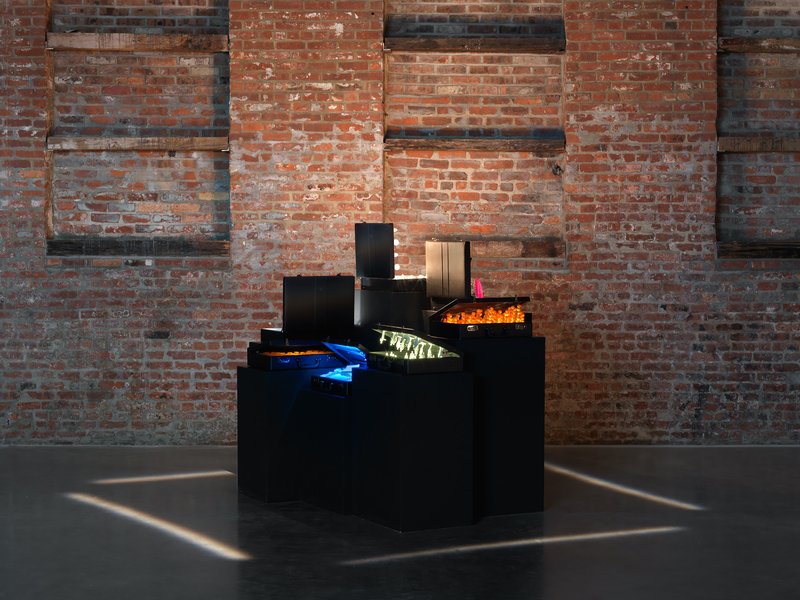 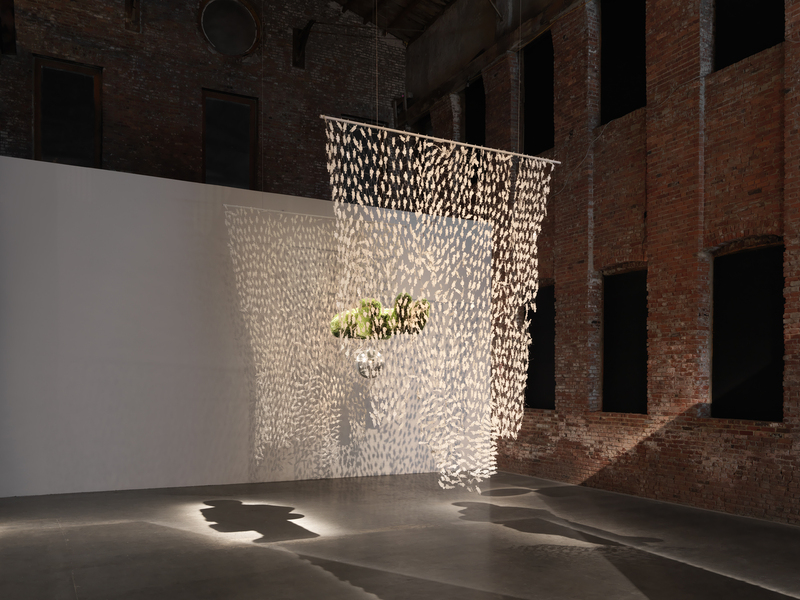 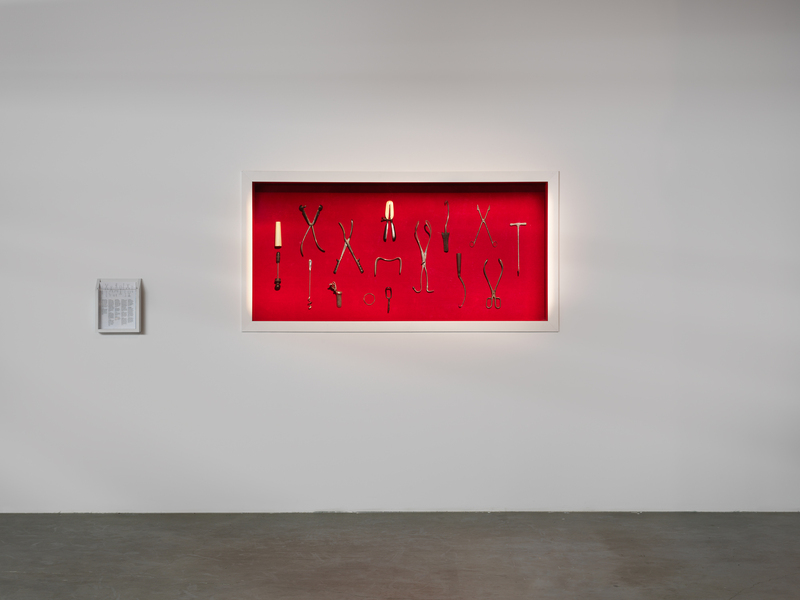 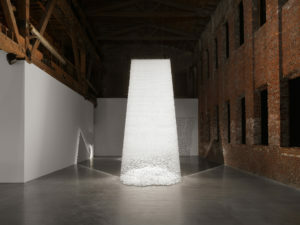 While their conversation brings together a literal and figurative cycle of meat and bone, life and death, it also foreshadows an institutional approach to exhibitions where a vested, active interest in inclusion and community engagement are at the core of the institutional mission, not just in its rhetoric or publicity apparatus. 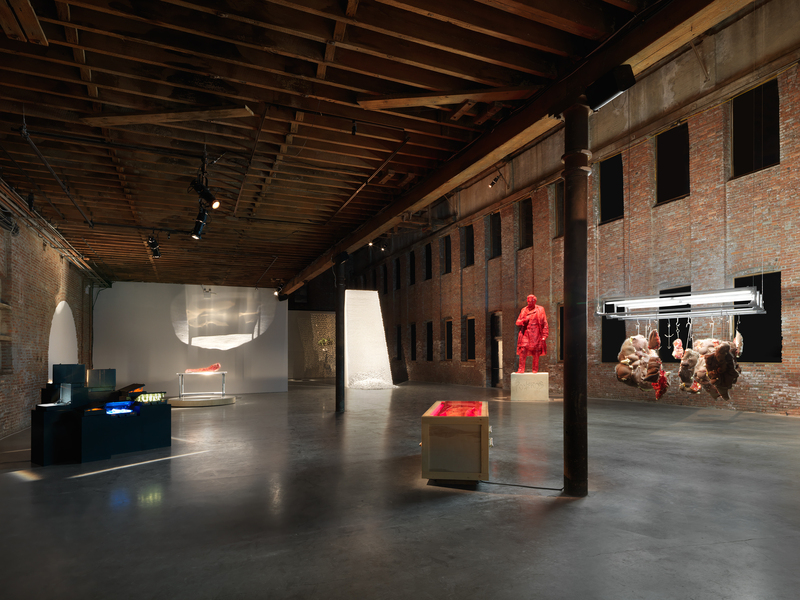 The exhibition will serve as a catalyst for a sweeping anthology of new texts, canonical reprints, archival material, and discussions around white privilege in popular culture and art, slated for print with Pioneer Works Press in spring 2018.